The Wall made a big splash at CES 2018 with its Micro-LED technology, possibly the first emerging tech that could give LG’s OLED displays a run for their money. For now, though, the colossal modular set is yet to have a solid release date – and when it does, it’ll likely be prohibitively expensive for most, at least until it achieves economy of scale. Not to worry, Samsung has had an eye towards innovation this year, as it expands its line of what it dubs lifestyle TVs. These sets are more than just something to watch a DVD on. They offer a luxurious array of smart features, cutting-edge displays, aesthetics that contribute to your home décor – and there are plenty of tantalizing options to suit every taste and budget. 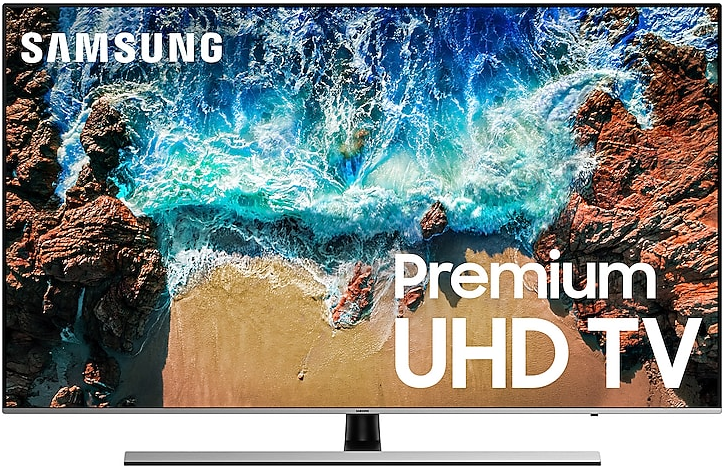 We’ve compiled some of the top Samsung smart TVs, and we’ve got to agree – there’s definitely something for everyone going into the New Year. Check out our list of the best TVs 2019 has to offer, below. Samsung’s The Frame revolutionizes what a television does when it’s on – and when it’s off. 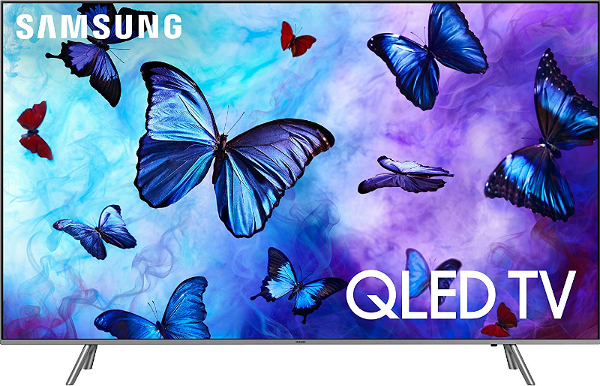 Designed to look like a picture frame, this brilliant QLED 4K Ultra-HD TV displays a customizable selection of art masterpieces when not in use – and does so with the use of a smart motion detector, so it saves on power when you’re not in the room. 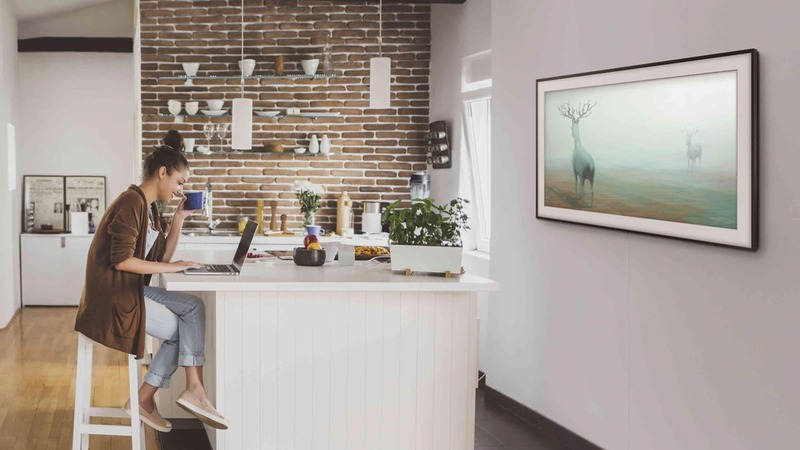 Sitting flush with the wall like a regular picture frame, The Frame also boasts a single, neat all-in-one cable called One Invisible Connection to complete its minimalistic design, so your TV won’t end up in a tangle of wires and cables. Plus, it has a Smart Hub, which allows you to view an array of streaming content, connect with your smart home, and update the gallery – all via your smartphone or the included OneRemote. The Frame comes in 43”, 55”, and 65” sizes, and with savings of $100, $500 or $600, respectively, its price runs between $1,200 and $2,200. Samsung’s NU8000 series might be an unsung hero – one of the top Samsung smart TVs and an affordably-priced dazzler, that offers premium picture and utilizes cutting-edge tech to enhance detail, scale up resolution, and implement video noise reduction techniques. 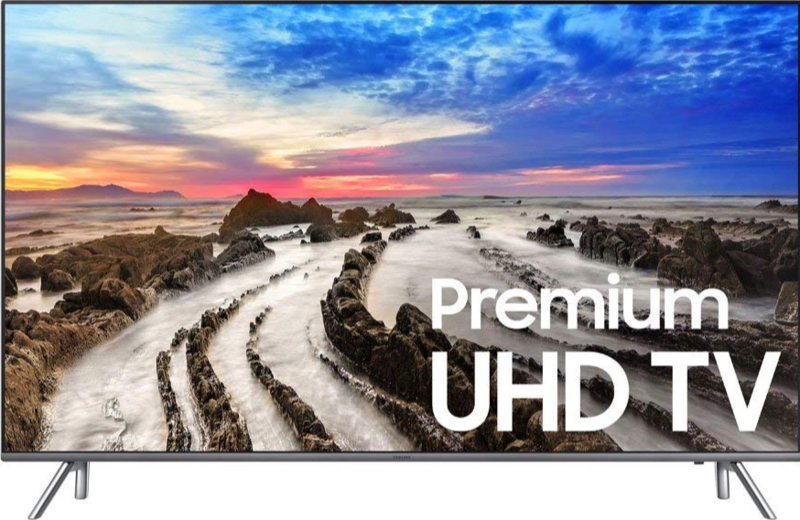 The 4K UHD display offers HDR technology to add brightness and contrast. The NU8000 also introduces Bixby, the intelligent voice assistant that can help you do anything from surf channels and find new content, to tell you the weather. Of course, the NU8000 is connected to SmartThings, which means your TV can link up with the gamut of your smart home devices via the IoT. Change the temperature, check what’s in your fridge, or see who’s at the door – all from the comfort of your couch. The NU8000 comes in sizes from 49” to 75” and starts at just $599 – that’s a savings of $400. Samsung’s Quantum LED display isn’t the only stunning thing about this TV – but the 4K picture, deep contrast, and brilliant HDR color have you captivated. If you do manage to take your eyes off the screen, though, you’ll find that the Q6 series is loaded with smart features like an ambient mode that can offer a pleasant backlight and play music, a digital photo gallery, and, of course, super connectivity to your entire smart home through the SmartThings app. The Q6 series also comes with Bixby the digital voice assistant, the OneRemote, and Universal Guide to make it easier than ever to find the content you love best. The 49” model starts at just $800. This Samsung smart TV offers a billion more shades of color than a standard 4K UHD television. Its deeper blacks and richer contrast offer a truly immersive experience, and its MR240 motion rate means that even the quickest sporting events or action sequences play smooth and crisp. And, of course, its SmartHub connectivity means you are in touch with all of your smart home technology even as you watch your favorite show or movie. The 49” model starts at $600. No matter which set you choose, or how large, Puls can mount it for you, as well as provide a host of other services from setting up a surround sound system, to neatly concealing cables, to programming your new remote. 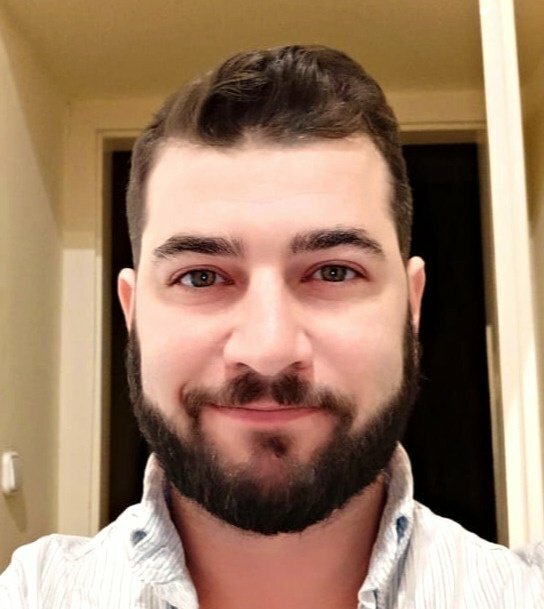 Simply hop online and book a time slot that’s good for you, and a certified Puls technician will show up at your door, ready to take care of all your TV installation needs from A-Z. We’ll bring your choice of bracket (fixed, tilt or full-motion) to you as part of your appointment, to make things as easy and seamless as possible.